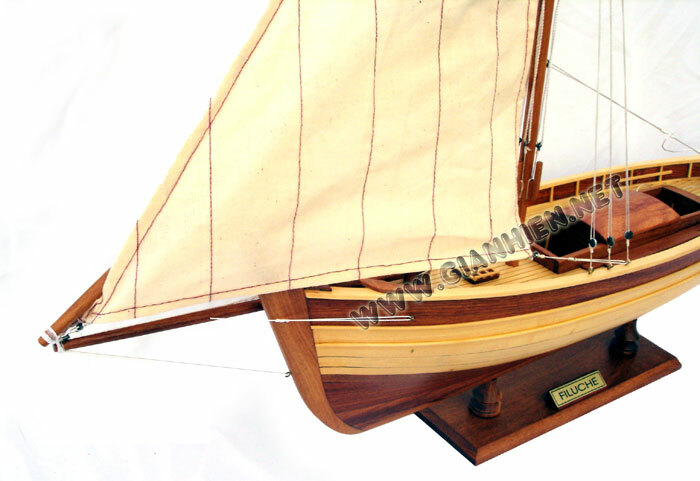 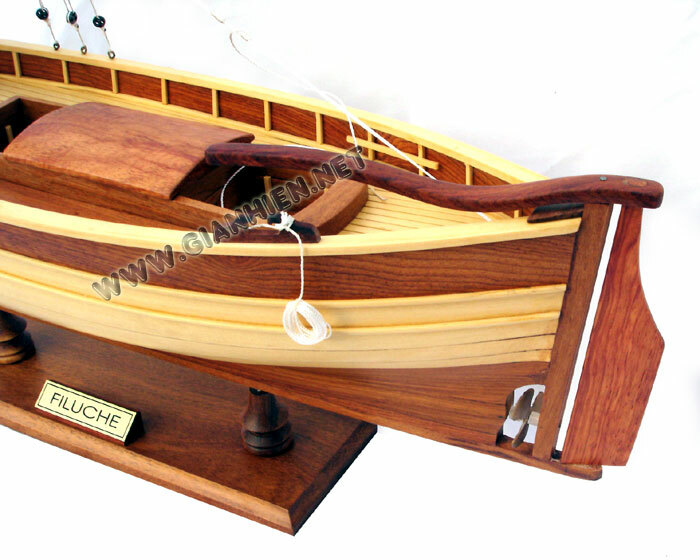 This traditional French fishing model boat is hand-crafted from white and red wood strips. 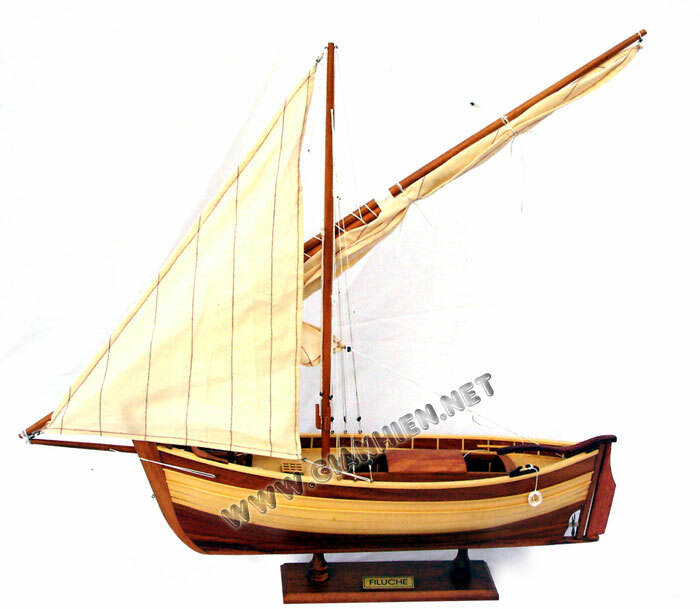 Model comes with the base and the brass nameplate. 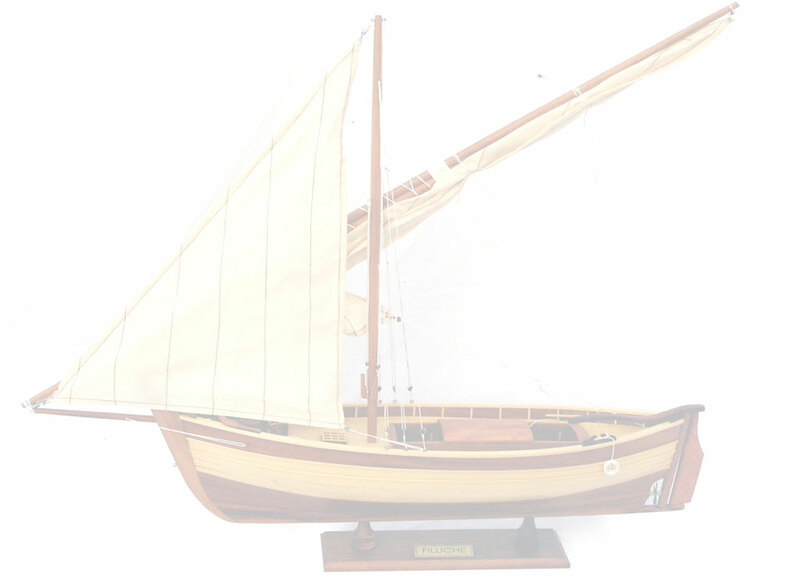 Model is packed with mast fold flat down.